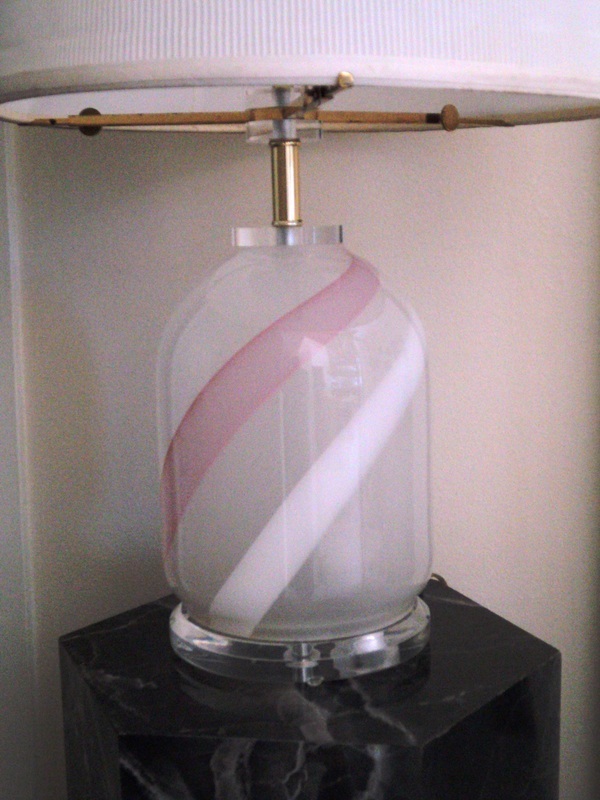 Swirled Pink & White Painted & Frosted Glass Table Lamp with Lucite & Brass Accents. 1970s/USA-Clearlite by Bauer (Labeled). $225. 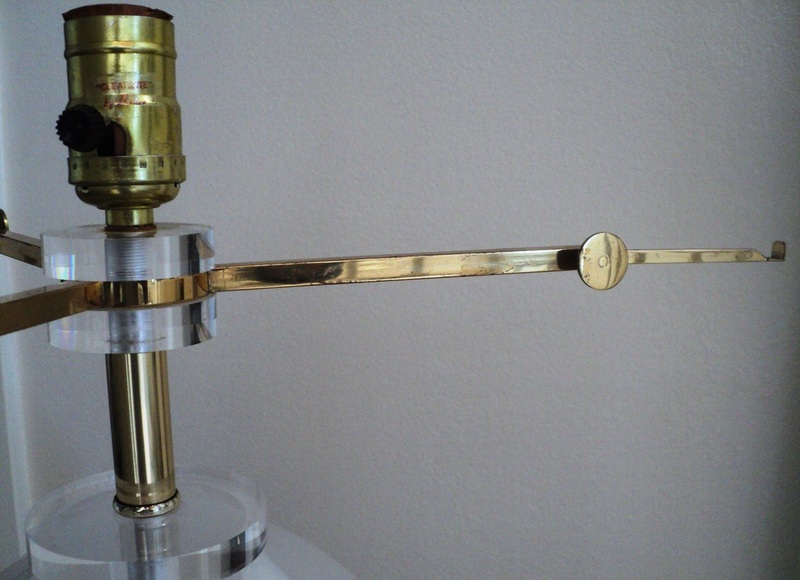 Adjustable Brass Shade Mount (3 Prongs/Holders with Individual Brass Wheel Screws). Very Good Vintage Condition. Brass Shows Signs of Oxidation Consistent with Age, Material & Use. Original Shade is as Found, Easily Replaced. Original Wiring in Good Working Condition. 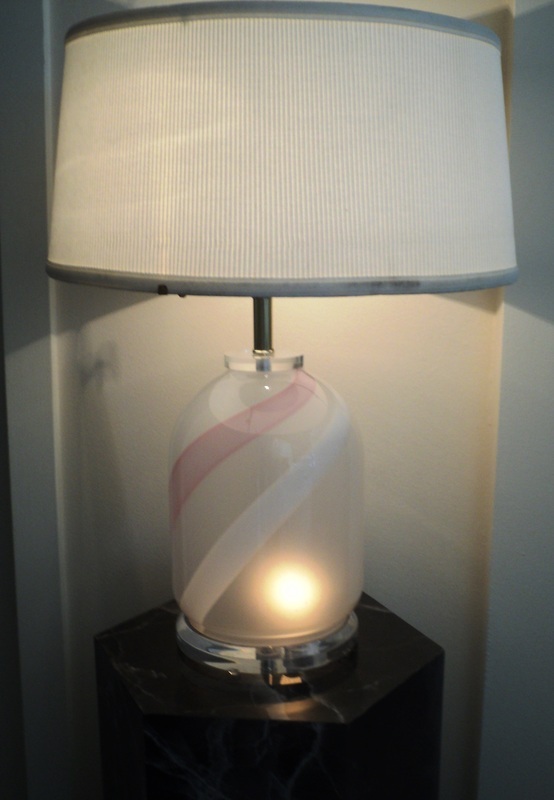 Three Light Settings: Nightlight Inside Lamp Base, Light from Socket, & Both Sources Together. 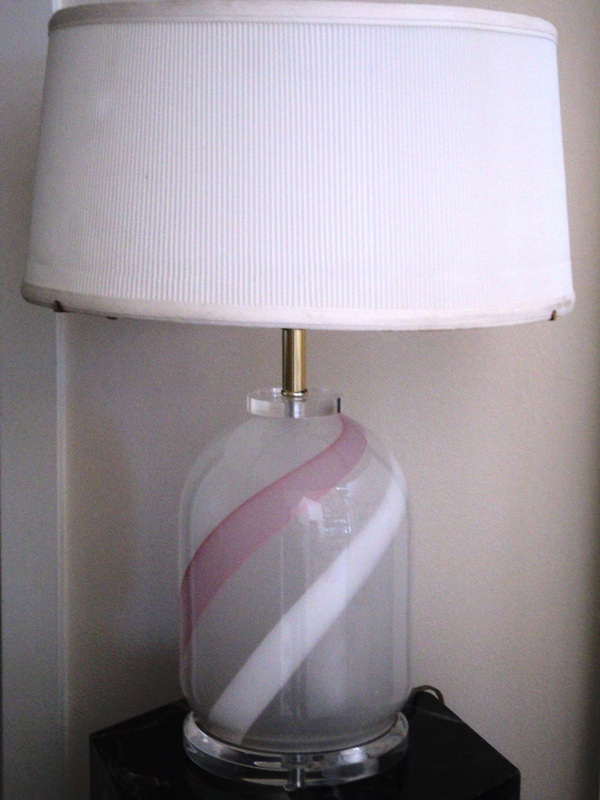 Dimensions as Shown with Original Lampshade: 23" high, 17" Diameter. 14.5" to Shade Mount. 8" Base.